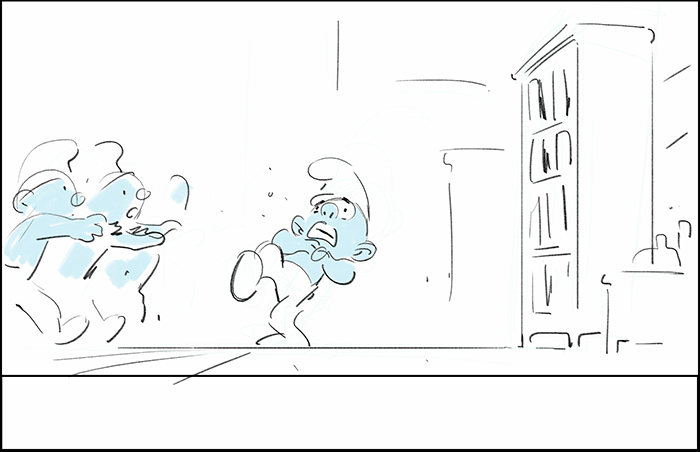 "Smurfs 2" feature film (Animation/Live Action Hybrid) SONY PICTURES ANIMATION. 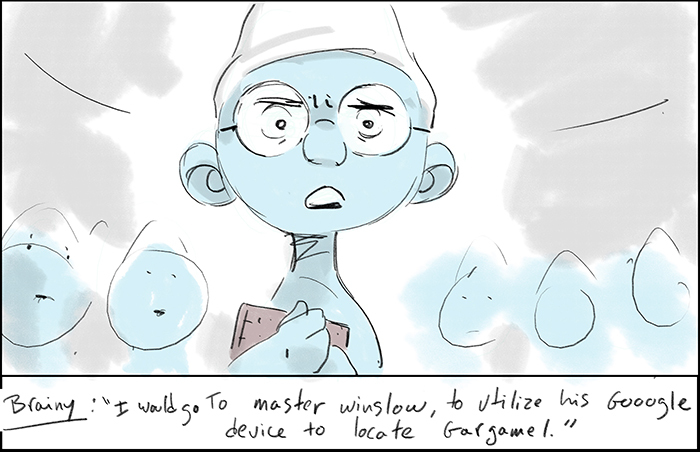 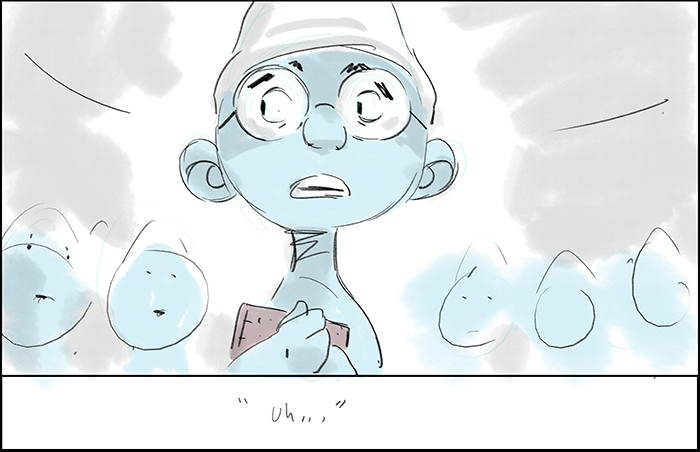 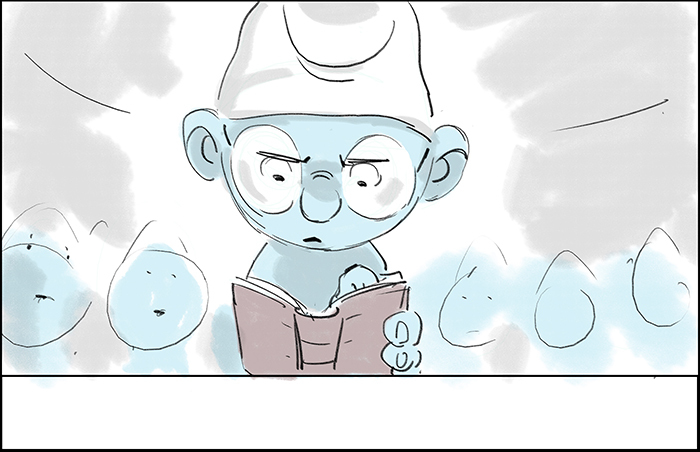 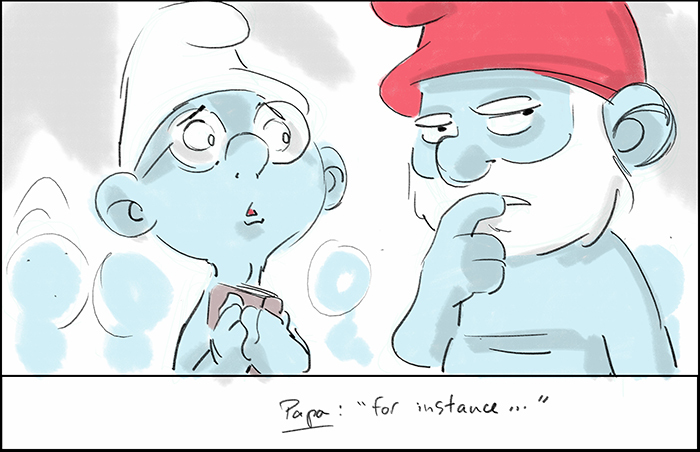 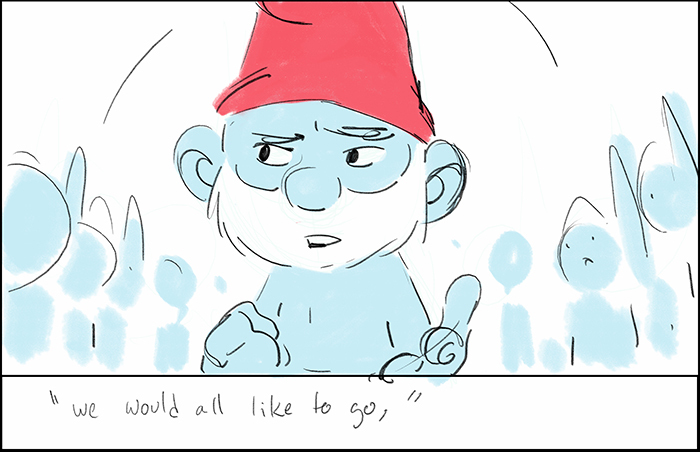 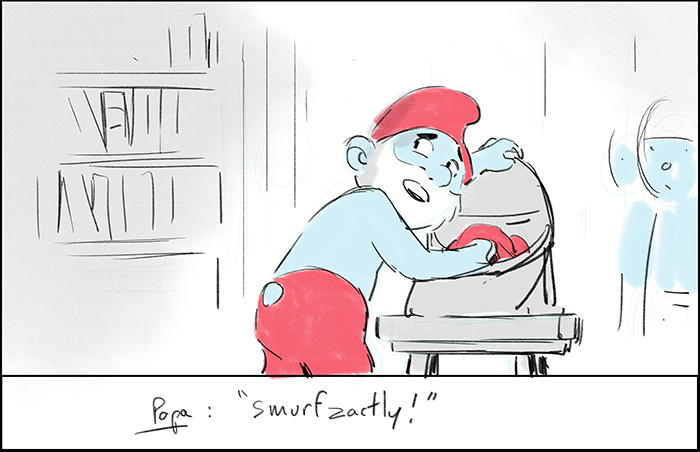 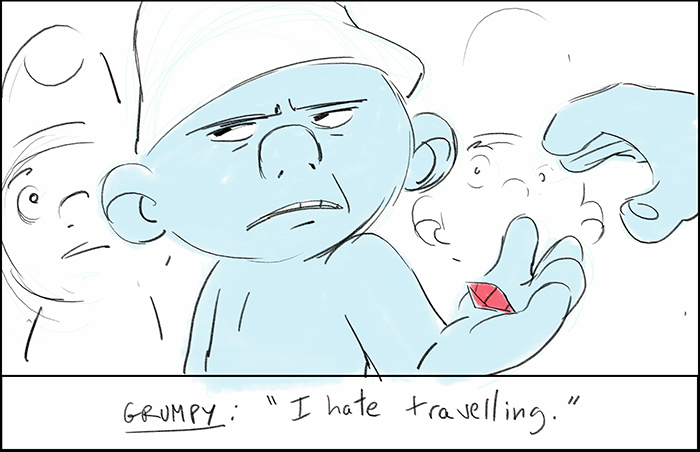 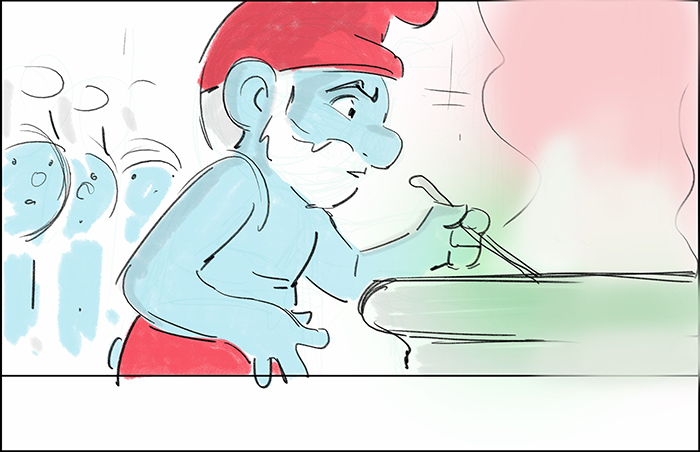 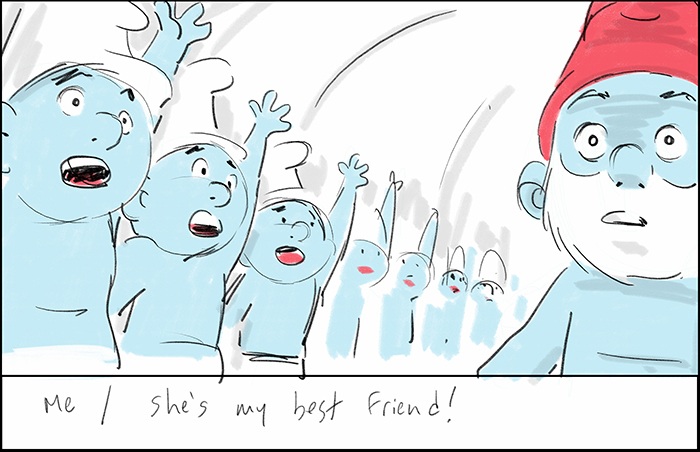 Smurfs 2 was a different take on the Smurfs. 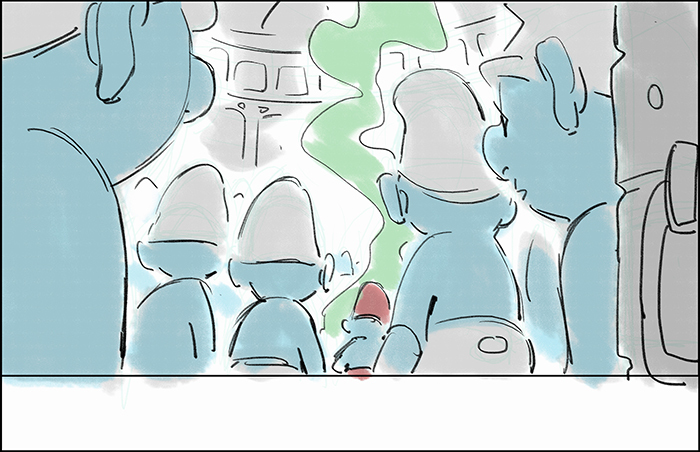 The original Peyo designs had been changed to fit into a live-action esthetic. 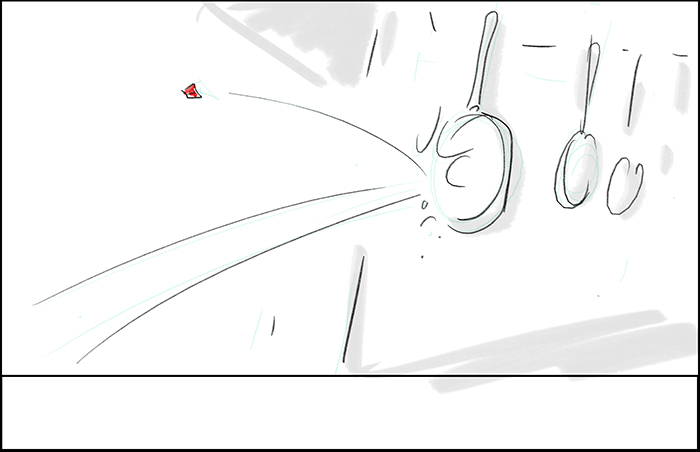 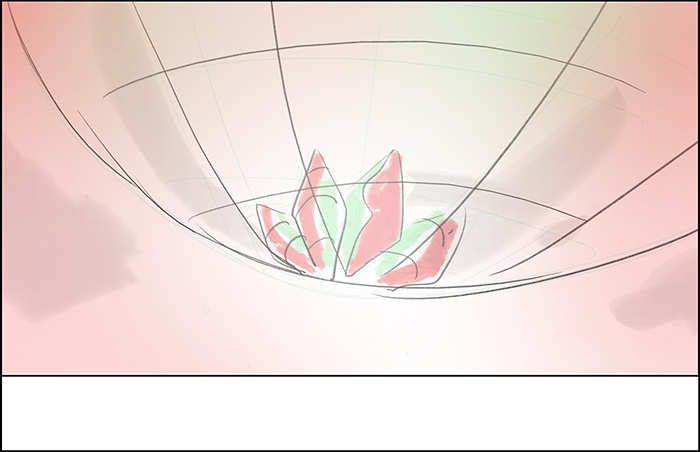 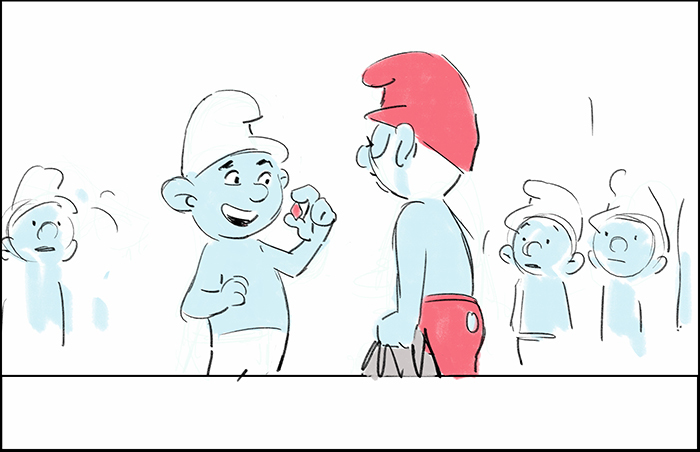 In the first sequence below, although it all takes place in Smurfs village, the approach to film-language is very live-actiony. 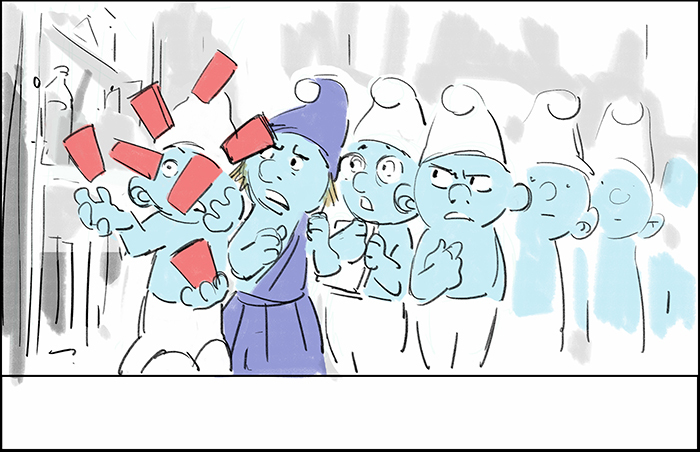 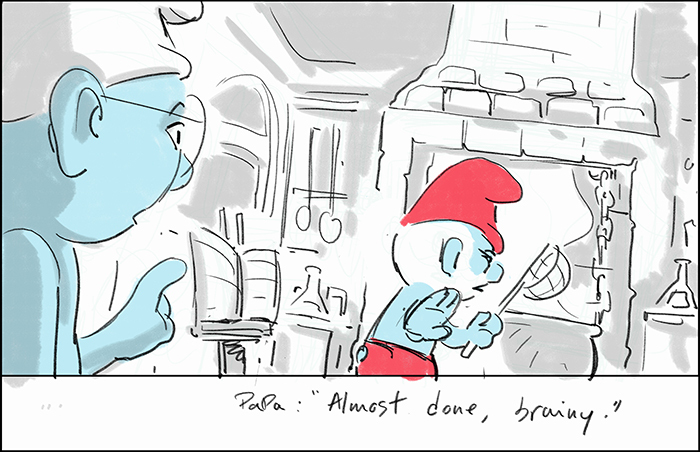 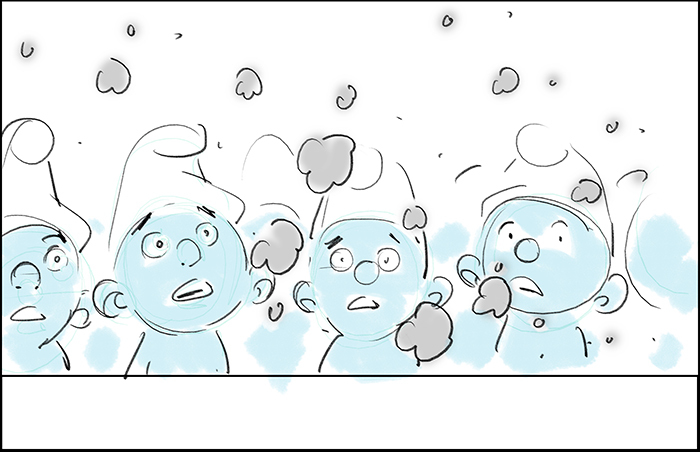 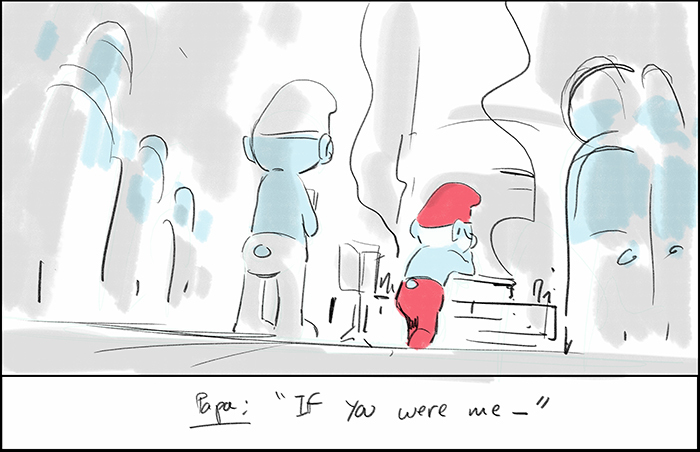 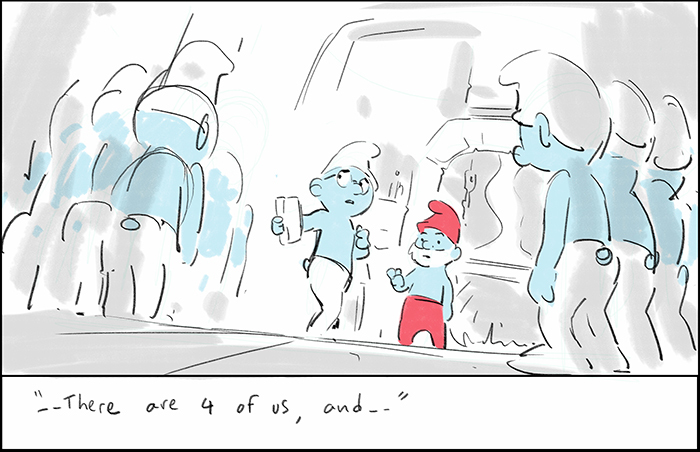 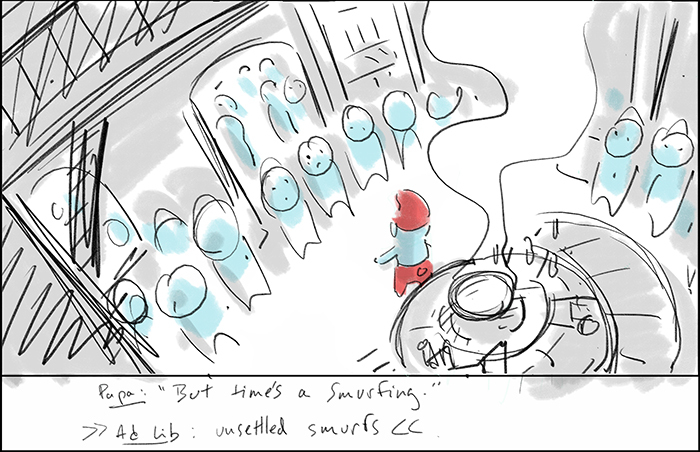 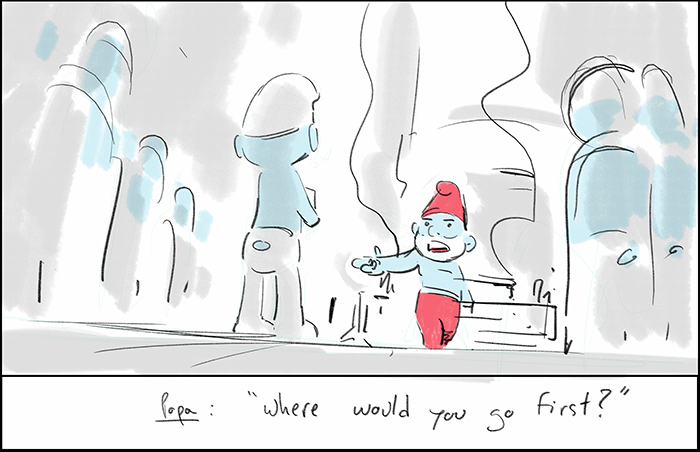 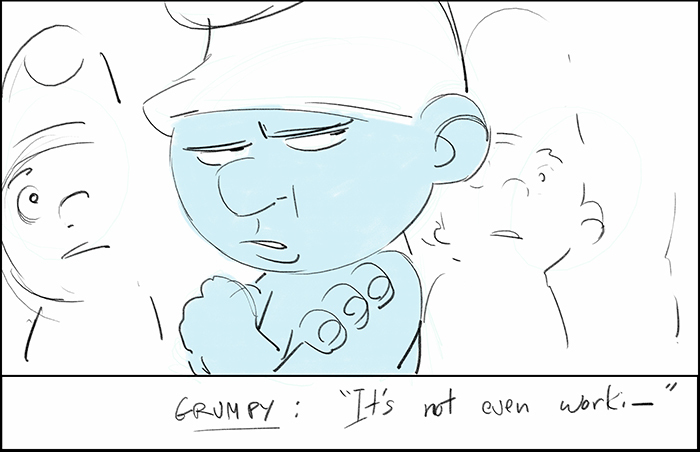 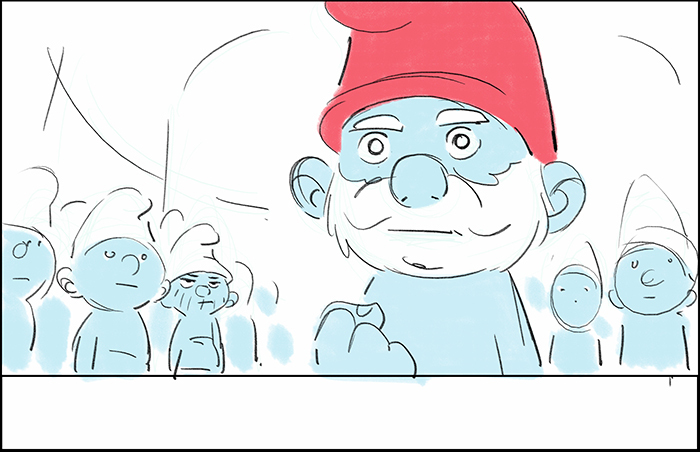 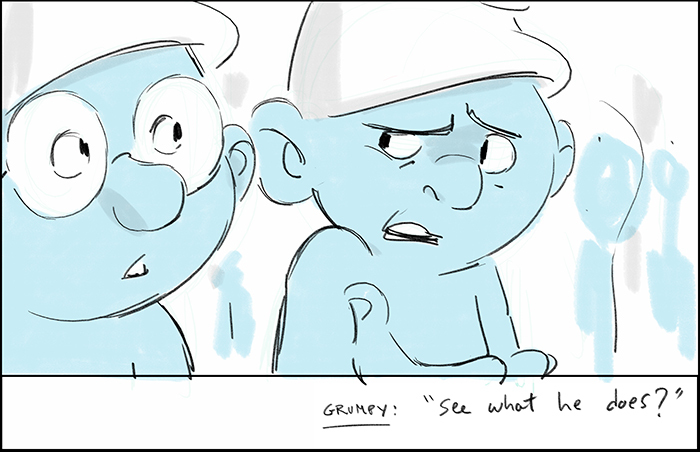 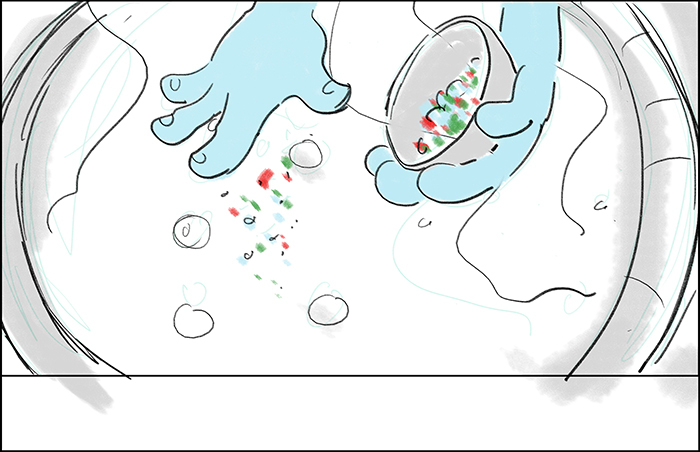 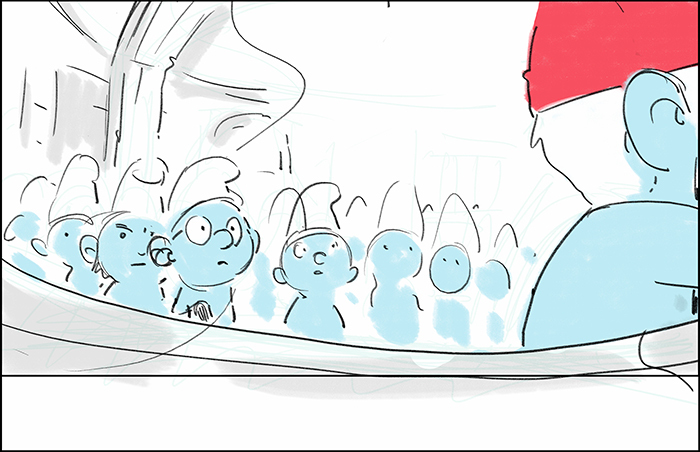 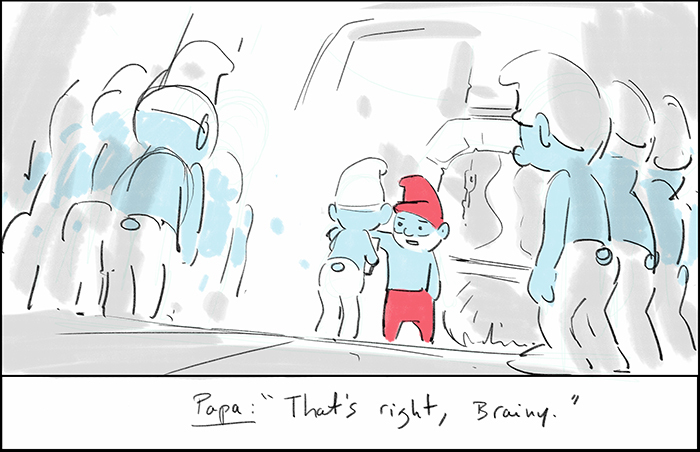 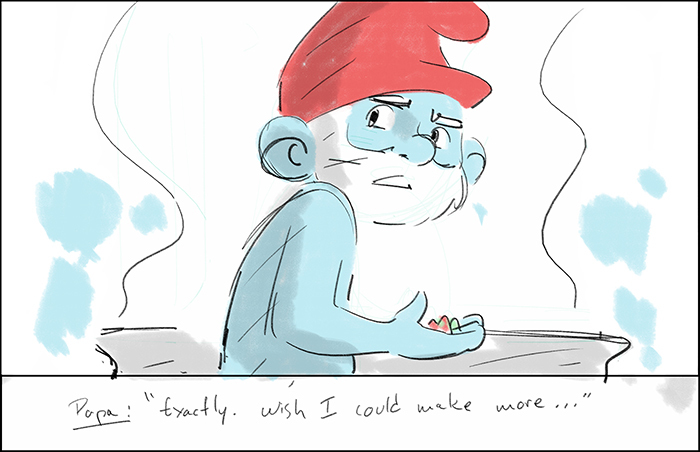 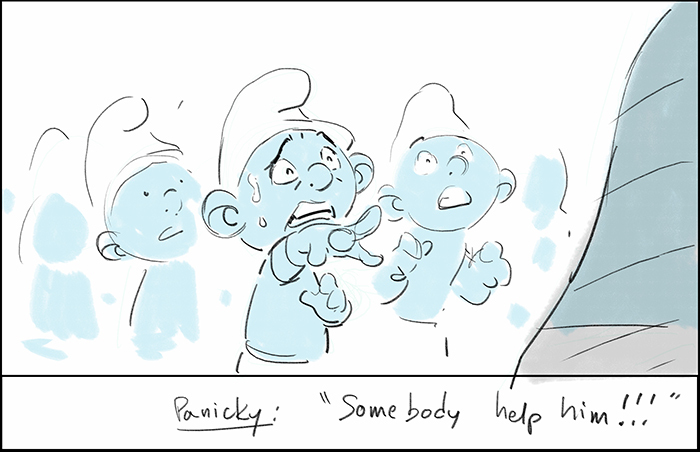 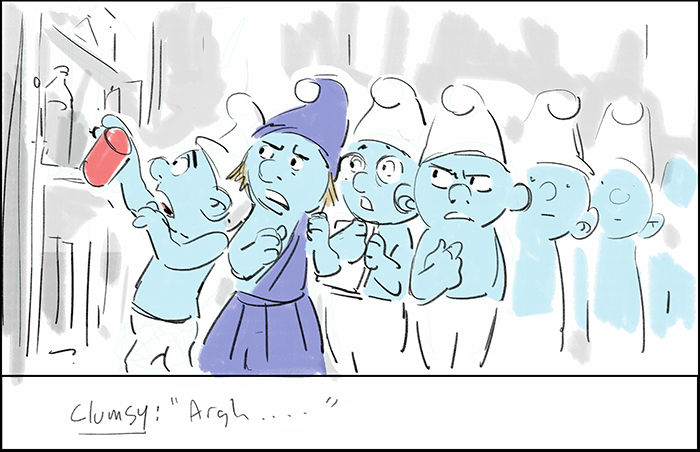 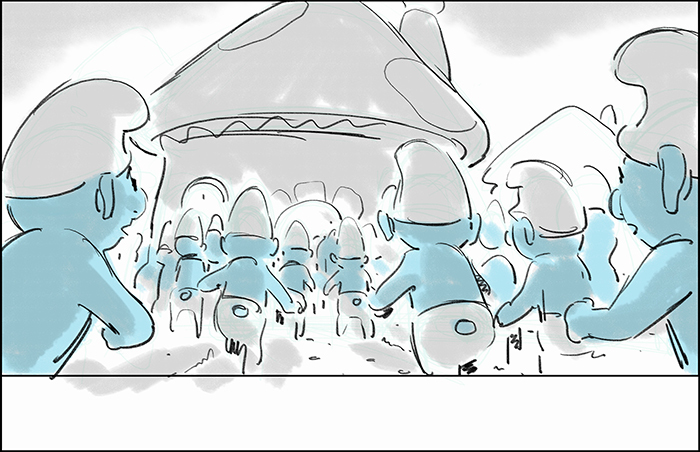 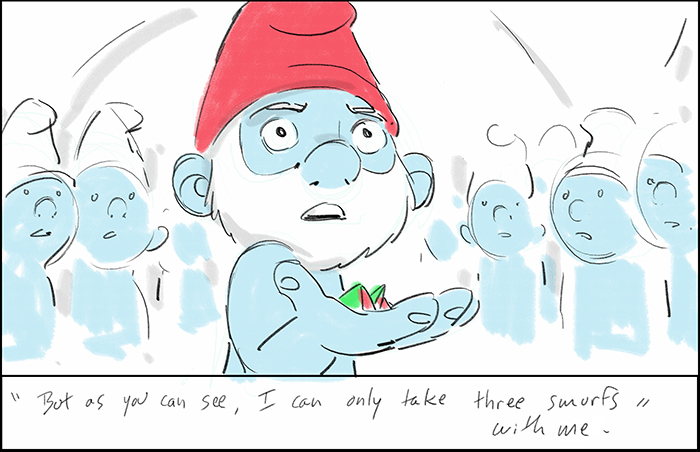 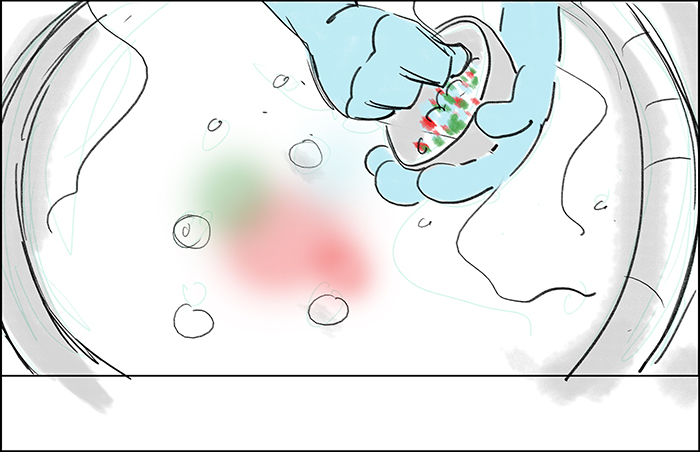 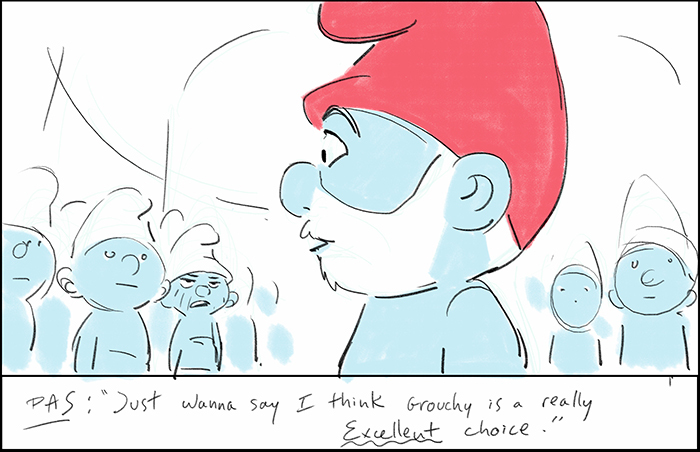 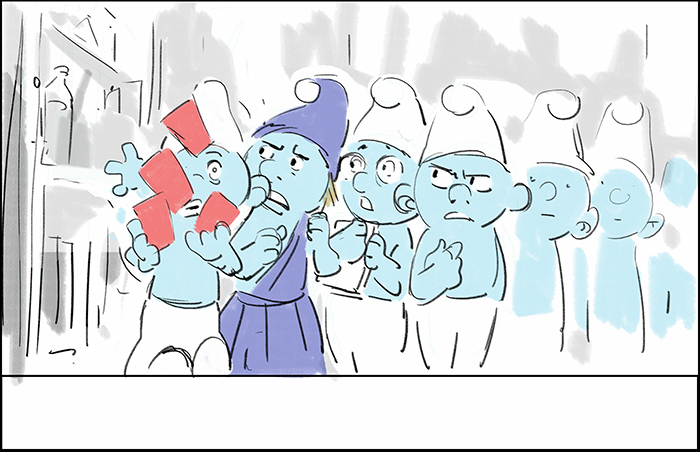 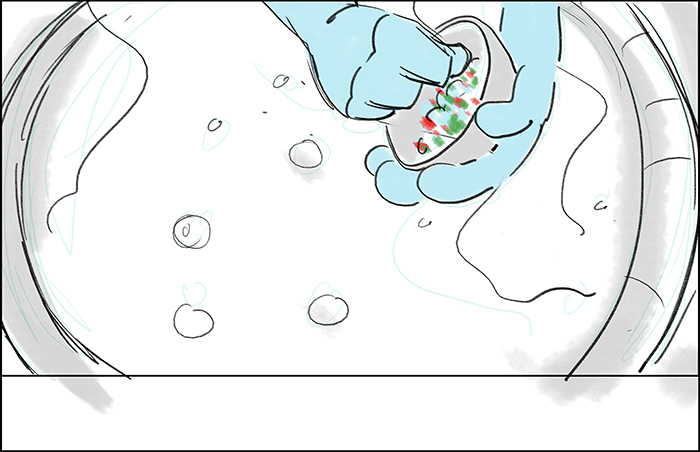 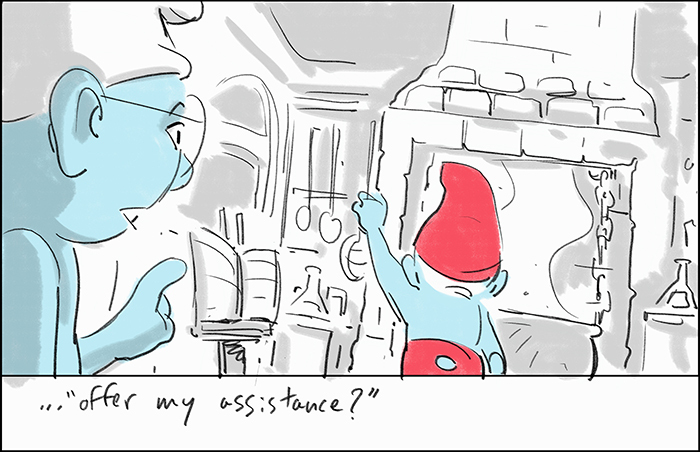 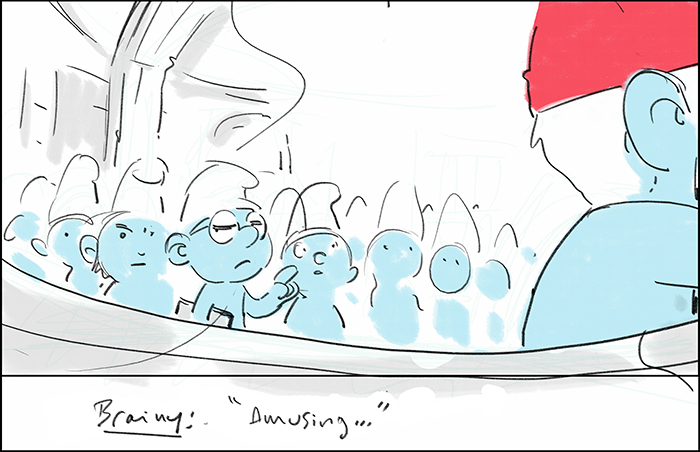 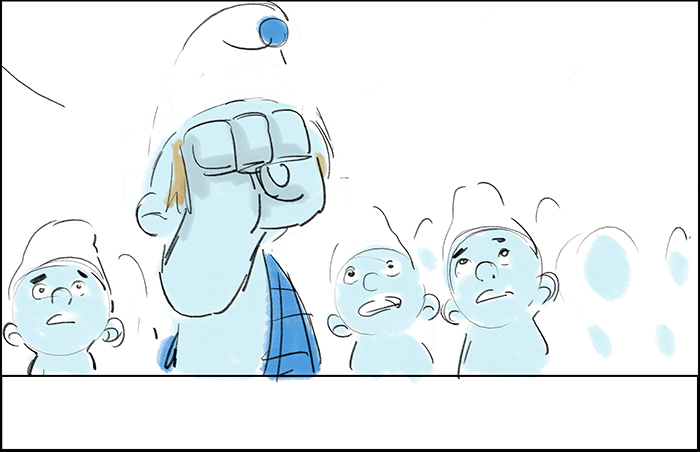 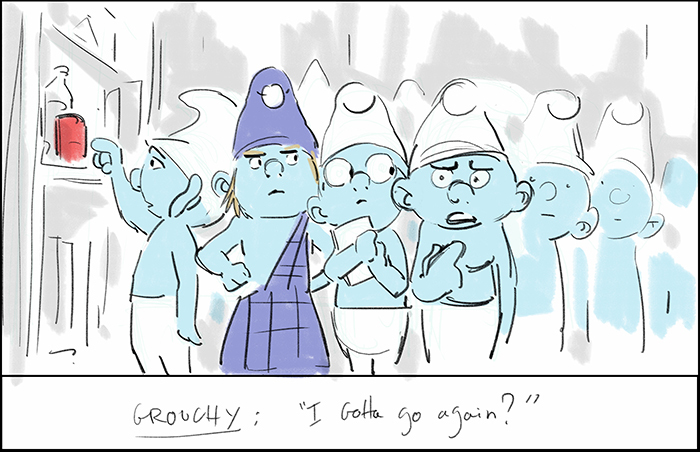 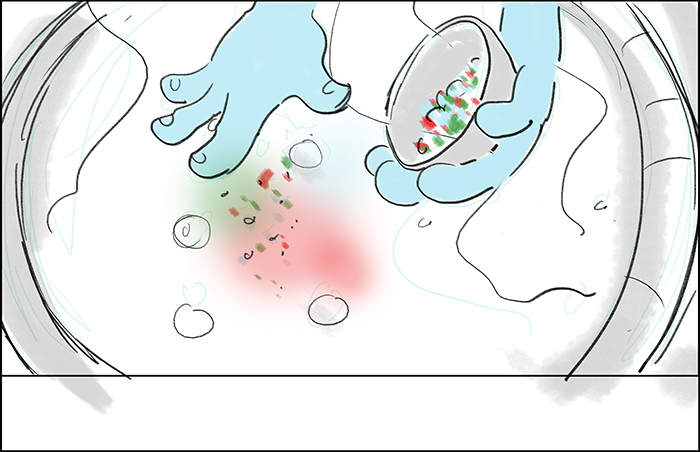 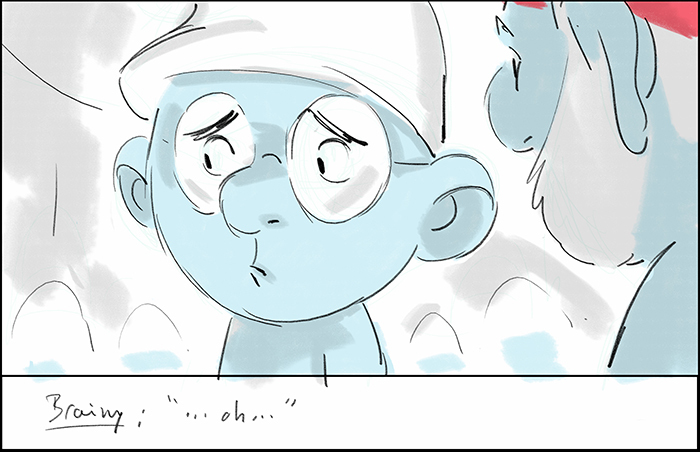 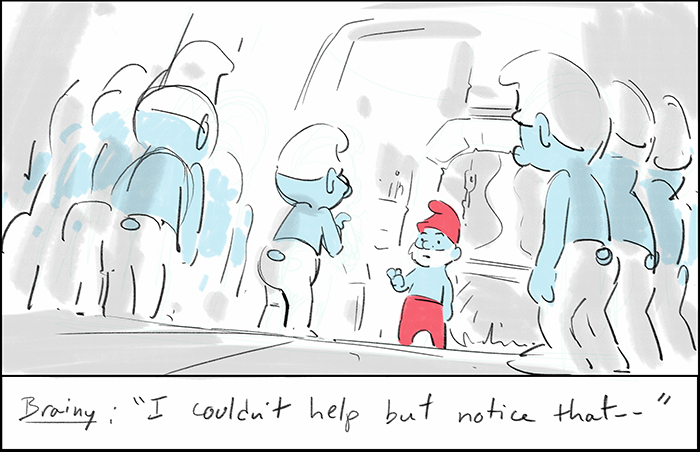 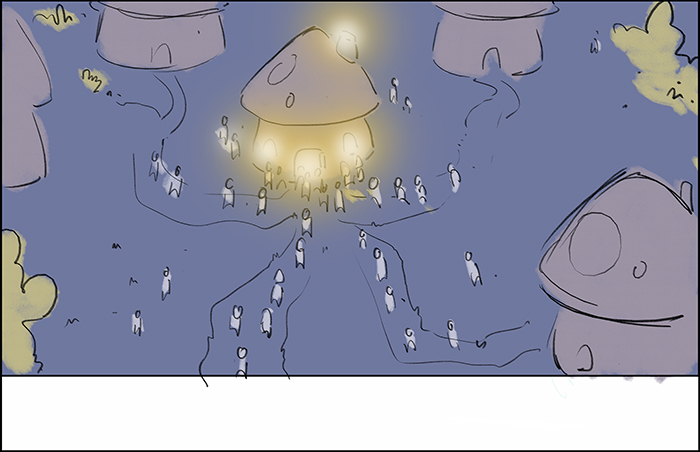 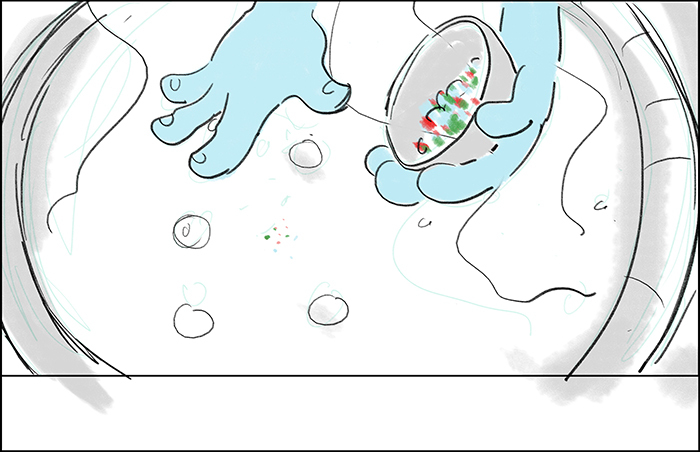 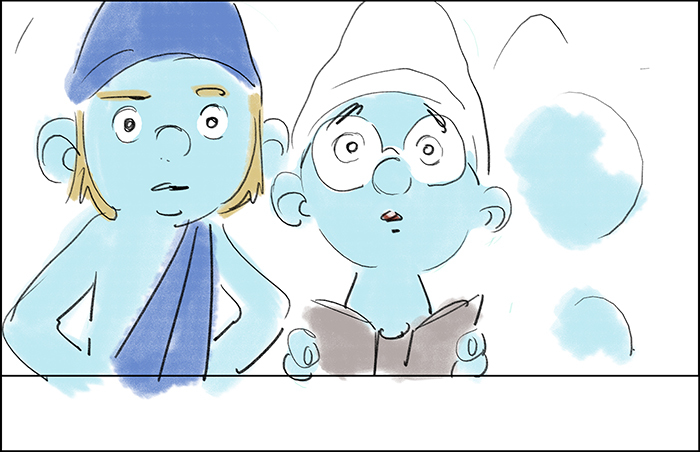 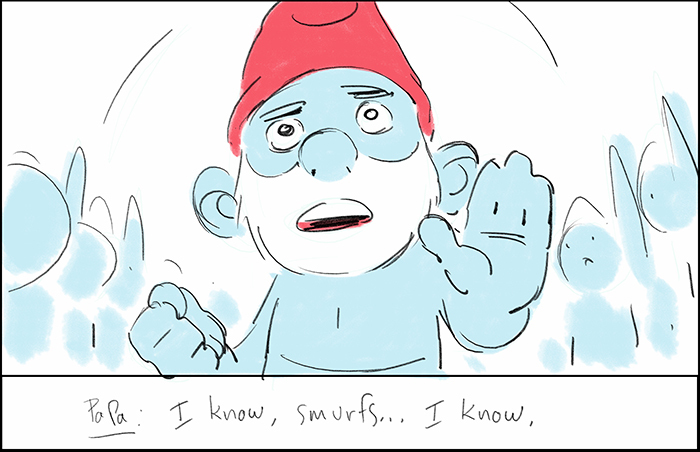 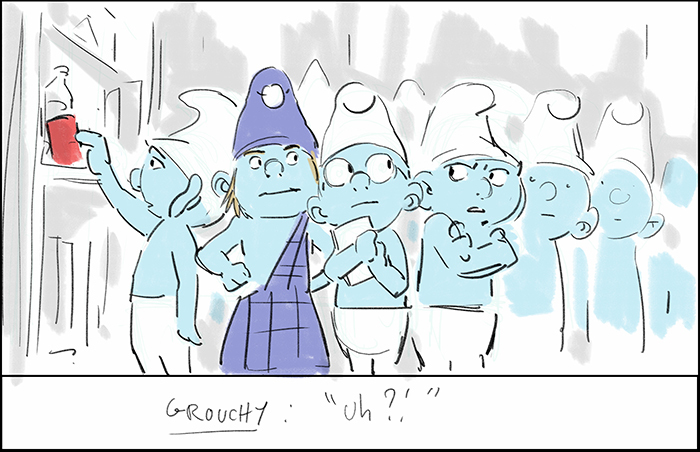 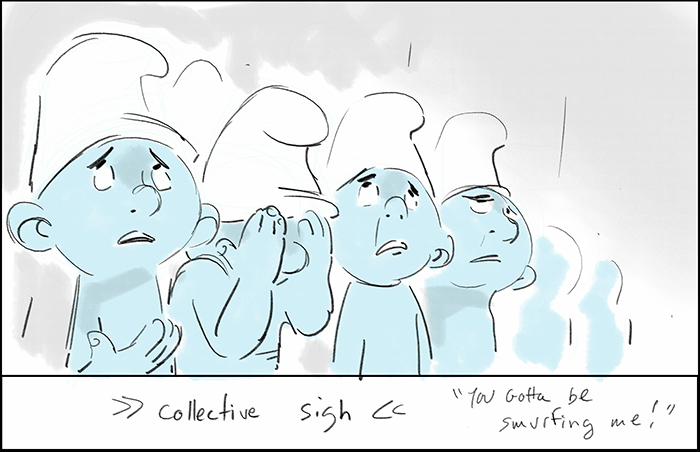 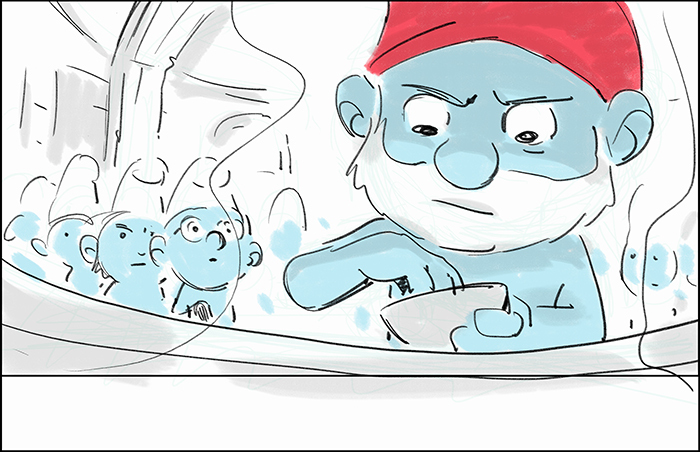 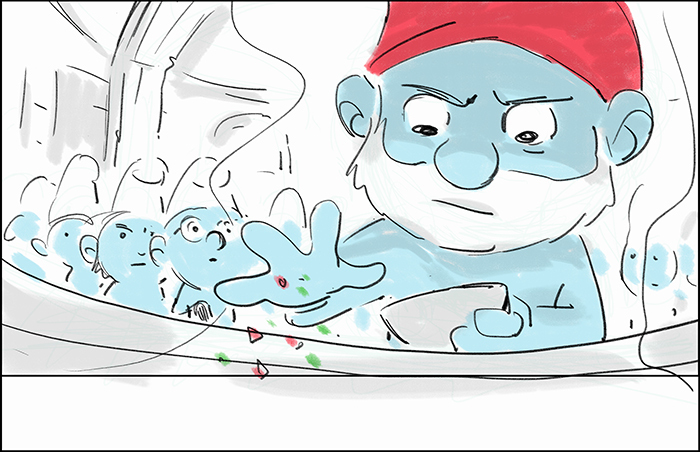 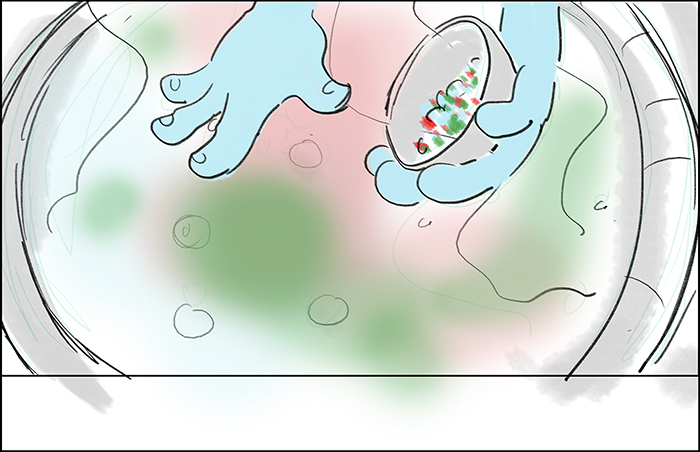 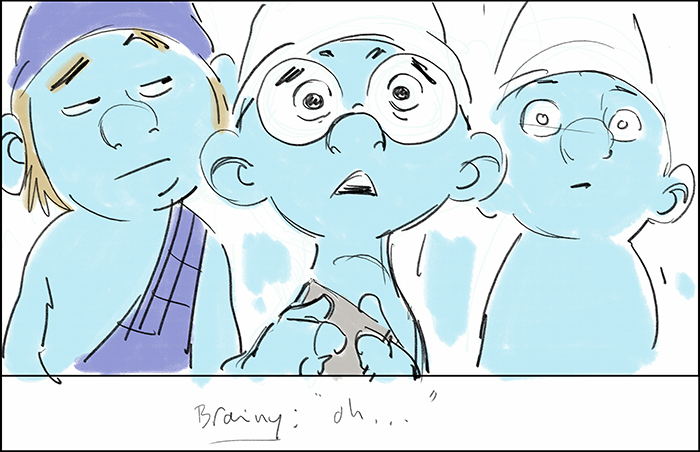 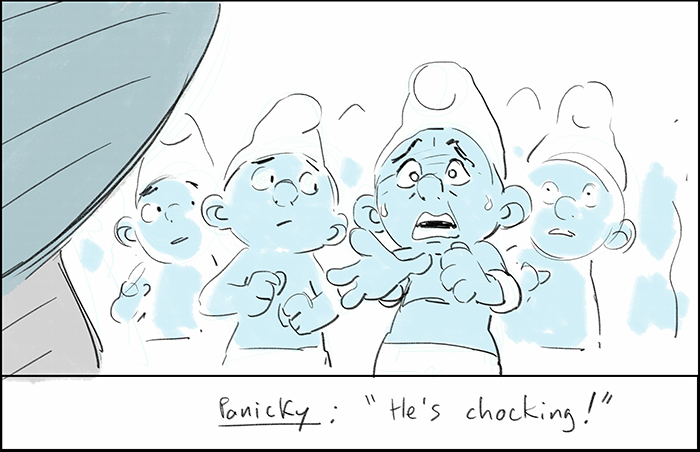 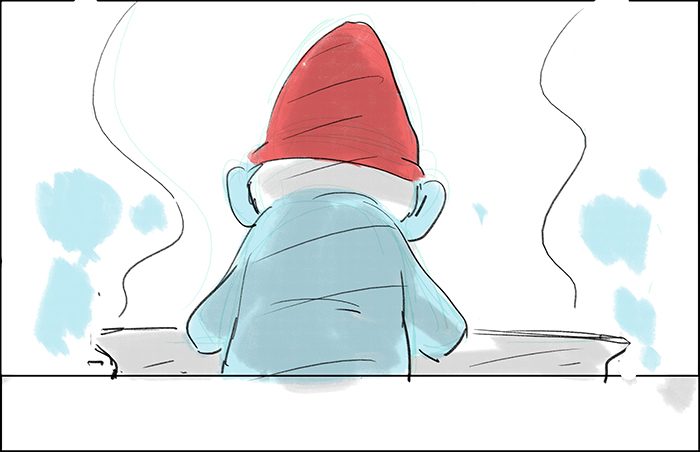 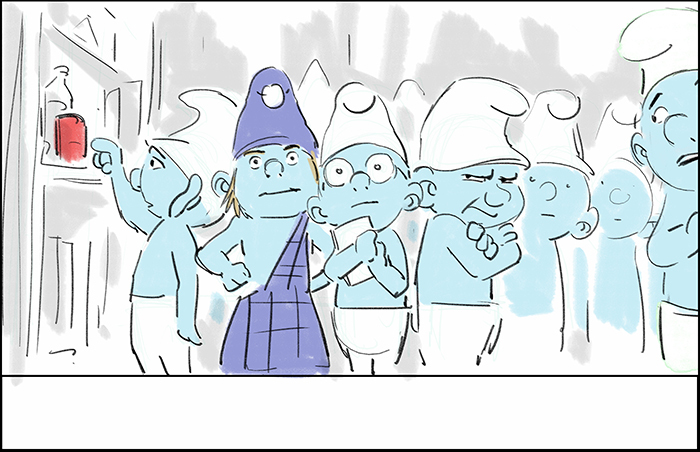 In the second sequence, the Smurfs are in the real world, and it was a lot of fun to try to always try to make them feel small in a big world.